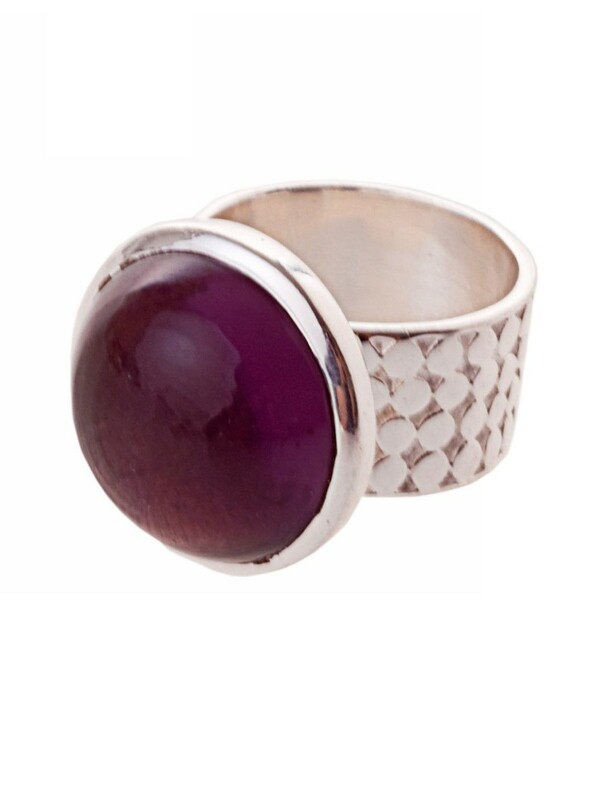 Silver plated Ringw ith Violete Glass Stone. Ring Width 10 mm. Stone Ø 17 mm.